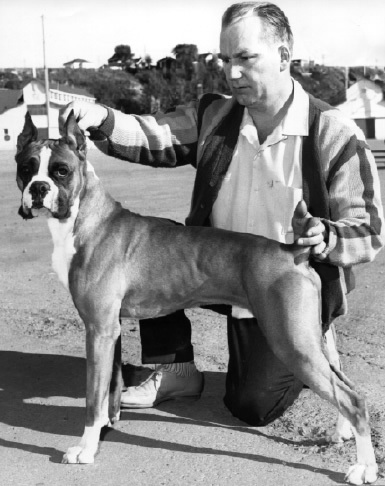 Wally Jacob, EKC Life member, Conformation Judge and CKC board member, with one of his fine Boxers. Their kennel was also well known for Kerry Blue Terriers. Published March 22, 2014 at 385 × 486 in History.